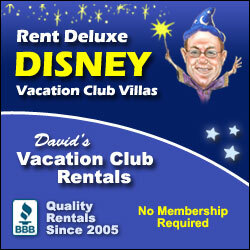 If you are looking for creative ways to save money on a Walt Disney World vacation, here is one of my top suggestions. I have used this strategy MANY times and have saved hundreds of dollars! In a nutshell, it is possible (and pretty easy) to stack two discounts on top of each other for Disney World resort hotel reservations when you book on Orbitz.com. With both discounts, you can get up to 50% off of the regular prices of Disney World hotel rooms! First, this applies to what are called “room-only” hotel reservations at Walt Disney World, FL. This trick won’t work with package deals, which typically include a park ticket and dining plan. Packages have to be booked with a travel agent (I suggest the excellent agents over at Destinations in Florida) or directly with Disney, so no luck grabbing extra savings on those. However, room-only reservations STILL get you all of the incredible perks of staying at a Disney-owned resort, such as free transportation to/from the airport and around the parks, Extra Magic Hours, Magic Bands for everyone in your party, etc. Plus, you can get all of these perks even if you book your stay through a site such as Orbitz, though it does take a few extra steps. 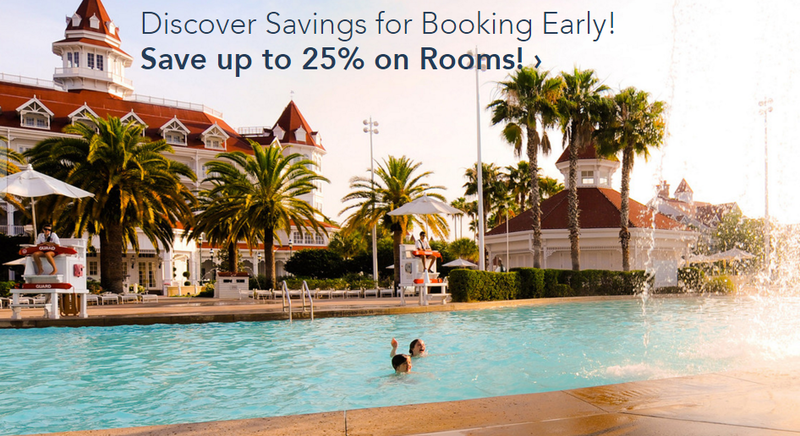 Disney World almost always is offering some discount (aka “special offers”) on room-only resort reservations. The discounts range from 15% to 35% off the standard “rack” rate. You can find the current discounts available directly from Disney here. I suggest reviewing the current Disney discounts before you begin planning a trip. Note the dates of the current discounts and which resorts have the best discount. But please don’t book these rooms directly with Disney! Let me show you how to save even more. Orbitz almost always offers a promo code for a percentage off hotel reservations booked on their site. The discounts range from 10 to 20% off – you can find the latest codes here. These codes frustrate many people because their discounts do not apply to most major hotel chains. However, these promo codes DO apply to all Disney-owned resorts! The discount can be used on top of the Disney-released discounts I mentioned above, essentially saving you up to 50% off the price of a Disney resort hotel stay. You can also use Orbitz Rewards currency, called “Orbucks”, to save even more (I’ll explain all about that later). 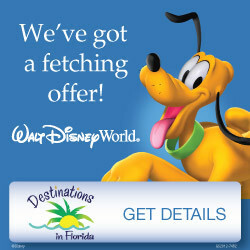 First, head to Orbitz.com and search within Orlando, FL for some possible travel dates – but at the bottom of the search window add the word “Disney” within the search for hotel name. This will narrow your results down to mostly Disney-owned resorts. For my examples below I’ve priced a five-night stay at Disney’s Coronado Springs Resort (a Moderate resort). P.S. Disney resort hotel prices fluctuate wildly during the course of a year – check out my post of the best times of year to visit Disney World to find the most affordable times to visit! Once you find a resort that interests you on Orbitz, here is how to check if the price on Orbitz includes a Disney discount. When you click through to book a room, you’ll see a total for the trip on the page where you enter your payment info. Take a moment to compare the total amount with the rack rates for the resort found on MouseSavers.com. 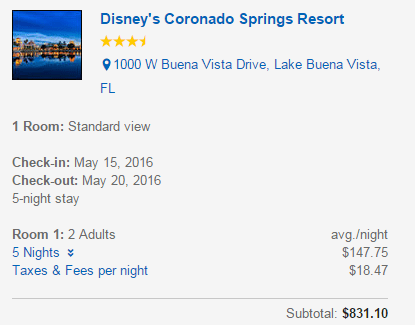 For the example above, the price per night at Coronado Springs works out to $166/night. When I check on MouseSavers, I see that the rack rate for this time of year is $222/night. So this room definitely includes a Disney discount! You may also notice in the booking details that these reservations include “Free Cancellation”. What this actually means is that Orbitz won’t charge you anything at all to change or cancel your reservation, however, the cancellation policy of the hotel itself still applies. Luckily, room-only reservations with Disney have a pretty friendly change/cancellation policy – you can cancel your reservation up to 6 days before check-in without any penalty at all. If you cancel within 6 days of check-in, you will forfeit one night’s room rate. When you go to checkout and pay for your reservation, you’ll find one (or several) places where you can enter a promo code. Be sure to enter the code and confirm the savings before you pay. Note the promo code savings circled above in red. I’ll take an extra $110.80 off, thank you very much! When you select a room you will also notice that you will earn “Orbitz Rewards” on the booking when you sign up for a free Orbitz Rewards account. This amount (equal to a 3% back) can be used on any future trip booked on Orbitz. “Orbucks” (the currency of Orbitz rewards) are wonderful because they are SO easy to earn and use. Your Orbucks are just applied to the next trip you book on Orbitz – no hoop-jumping, code entering, nothing. While 3% doesn’t seem like much to write home about, I have been able to earn $512.81 in Orbucks in the past few years in a few creative ways! 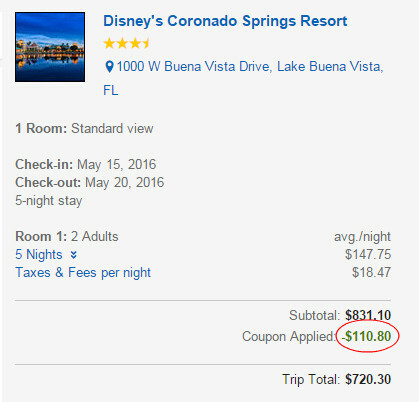 In summary, the standard rack rate for the five-night stay at Coronado Springs is $1,110. With both discounts (25% off from Disney and 15% off from Orbitz) and Orbitz rewards, the price falls to $695. It may entail some work, but that discount is worth it, at least to me. As I already mentioned, one compelling reason to stay at a Disney-owned resort is the impressive list of perks. If you book a room-only reservation with Orbitz as opposed to Disney, you’ll still get all of the perks, though you’ll have to take a few more steps. In order to link your reservation to the My Disney Experience system, you’ll need a Disney-issued confirmation number for your reservation. This number used to be included in the email confirmation from Orbitz, but in my experience it no longer is. I have had to give Orbitz a call at 844-663-2266 and ask that they please provide me with the Disney confirmation number. They put me on hold, call Disney and get the number, then share it with me. Next head over to your My Disney Experience page and you’ll see a button to Link a Resort Reservation or Vacation Package. Click that, then enter the Disney Confirmation Number, and you are all set! 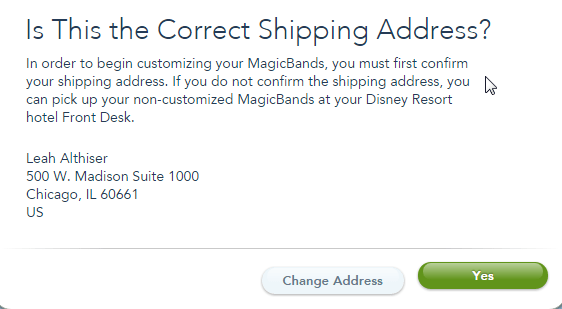 Here’s one other quirky thing – when you go to personalize your Magic Bands in your My Disney Experience account (which you need to do 30 days before your arrival), you will have to update the address to which the bands will ship. You’ll see the address for Orbitz (in Chicago, IL), so just click the Change Address button and update it with your address! Lastly, if you are flying into Orlando, you’ll want to take advantage of the complimentary transfers on Disney Magical Express. After you have the flight information for everyone in your party (you’ll just need names, flight numbers, and travel dates), head over to the Magical Express Reservation site to make your reservation. I’ve had some trouble using the Chrome browser with this form, so I would suggest a different browser. Or you can call 866-599-0951 to make your reservation over the phone. You will receive your luggage tags and info in the mail a few weeks before your trip! I hope this post helped explain the steps to booking a Disney World room-only reservation with an Orbitz discount. Please leave a comment on this post if you have any questions and I would be glad to help. Three cheers for saving money at the most magical place on Earth! Yay, Megan! So glad it worked for you. It has been on and off lately. I have saved hundreds over the years with Orbitz! 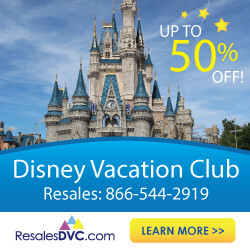 Good deals for Disney! I will come visit Disney soon. An added way to “save” is to have an ebates account, and apply the ebates cash back for Orbitz. This cash back amount varies, but currently it is up to 10% cash back. Although it is not a direct savings, the cash back can be used during the trip or purchasing necessary items for the trip! So if I get a hotel deal through Orbitz can I add a dining plan to my reservation through my Disney Experince after I get the reservation details as you laid out here? So new at all this I appreciate the tips! Hi Jocelyn! Well, while you DO get all Disney benefits (such as Magical Express, Extra Magic Hours, 60 day Fastpass window, etc) you can NOT add a dining plan to reservations made through third-party sites. I’ve updated the post to reflect this – thanks! Ok, I may be missing something obvious. Great blog by the way, a lot of information has been useful for planning a trip! For the Disney codes on Orbitz, I see the deals they have going on when visiting the Disney site, but I don’t see an actual code to use to get the deal on Orbitz. Does that make sense? Just wondering what I’m missing; it could very well be right in front of me! Thanks!